Hello everyone, and thank you for your continued partnership in praying for the nation. The next few months are pivotal for the nation as Parliament works towards the final Brexit Bill, and whatever our position on Brexit, we are all aware the next few months will affect our nation for generations. There are many other issues which need attention but above all, this is about seeing God’s Kingdom come to our nation, touching every aspect of our society. 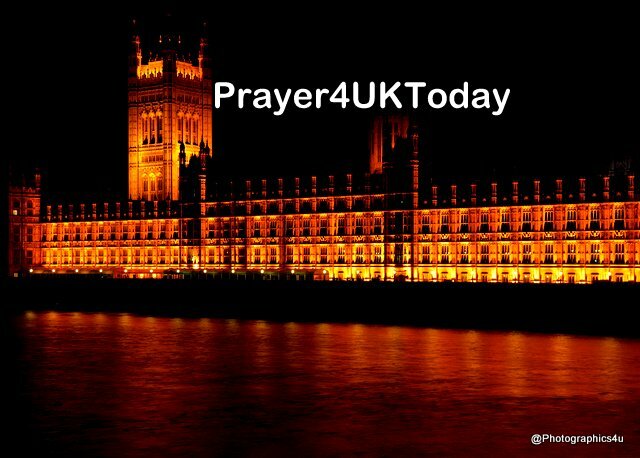 We are therefore looking at some changes on the pattern and frequency of the declarations, so that as we continue to look beyond Brexit, to shape the nation for the next season, we can continue to pray for Brexit itself. Please don’t be surprised if you see some shorter declarations which are to keep the focus and as we continue to press in, to see God’s purpose established. If you are in the area and able to join us, we would love to see you at any of the following events all of which focus on The Nation, The Kingdom and the Future! The whole passage from Ecclesiastes 3 gives the contrast between what often is, and what we would hope it to be. A soldier associated with Scunthorpe United died on 10 November 1918, one day before the Armistice. For him, time had run out. A day later and he may have lived. How do we use our time? Is it spent in moaning or complaining, or is it spent in a positive way, perhaps to the benefit of others? Are our energies used in the right way? Are we focussed on the inward, rather than the outward? All these things, used correctly, can bring hope to other people, and therefore hope for the world – for everything there is a season.